Prince Louis Stanislas Xavier, Count of Provence, always coveted the crown. Yet, no one thought he would really become king. Born on 17 November 1755 in Versailles, he was the third surviving on of the Dauphin Louis and his wife Maria Josepha of Saxony and far too removed from the crown for him to seriously aspire to it. But then first his oldest brother, the Duke of Burgundy, and then his father, died. Only his other elder brother, the future Louis XVI, and his grandfather, King Louis XV, stood between him and the crown. Louis Stanislas was more confident than his older brother. Maybe that’s due to his special relationship with his governess, Madame de Marsan, Governess of the Children of France, who had charge of the royal boys until they were deemed, at about 7, old enough to start studying with a tutor (his was Antoine de Quélen de Stuer de Caussade, Duke of La Vauguyon). Louis Stanislas was Madame’s favourite. 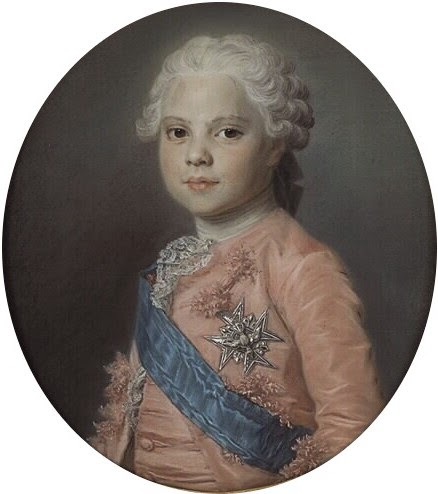 Louis Stanislas was also the smartest and brightest of the royal boys. He enjoyed the same education as his older brother, even though he wasn’t destined to become king. He excelled in the classics. He particularly liked history and literature, loved Horace (he could quote his verses from memory), was fluent in three languages (French, Italian, and English), and knew the Bible well. The Prince excelled in intellectual pursuits but wasn’t fond of physical activity. But he loved eating. So, although not bad looking, Louis Stanislas started to put on weight. He wasn’t the most attractive of suitors, but then his wife, Princess Maria Giuseppina of Savoy, wasn’t particularly attractive either. Mostly because her hygiene was very poor. She rarely wore perfume or even bathed, and never brushed her teeth. She was boring and, coming from a smaller court, ignorant of the many customs that regulated life at Versailles. The couple tied the knot on 14 May 1771, but didn’t consummate their marriage for years. Yet, the Count of Provence did boast of exploits in the bedroom just to spite his older brother, who had yet to consummate his own marriage to Marie Antoinette. The two brothers often quarrelled, as did their wives. In the end, Louis Stanislas managed to overcome his aversion towards his wife and got her pregnant twice. Sadly both pregnancies ended in miscarriages. In 1774, Louis XV died. As the new king, Louis XVI, was still childless, Louis Stanislas was, for the moment, heir to the throne. He thought he now deserved a seat on the council, so that he could exercise his influence in politics. But the king had other ideas and refused him the post. Greatly offended, the Count of Provence started travelling around France. When, in the following year, Queen Marie Antoinette gave birth to two son, Louis Stanislas fell once again down the line of succession. Kept away from politics, the Count enjoyed a retired and sedentary lifestyle. He read a lot, gambled and lost huge sums of money, and spent time with his mistress, Anne Nompar de Caumont. But, in 1878, he had his chance to finally get involved in politics. He was among the notables who opposed the new taxes required to keep the French government afloat. New taxes would now have to be approved by the Estates Generals. In the next Assembly of Notables, Louis Stanislas was the only one to support giving more representation to the common people in the Estates Generals. This measure was supported by the finance minister, Jacques Necker, who managed to convinced the King to adopt it. The Estates Generals convened. The Third Estate demanded tax reforms, something Louis Stanislas was absolutely against. He advised his brother not to compromise with them and give in to their requests. Revolution broke out. 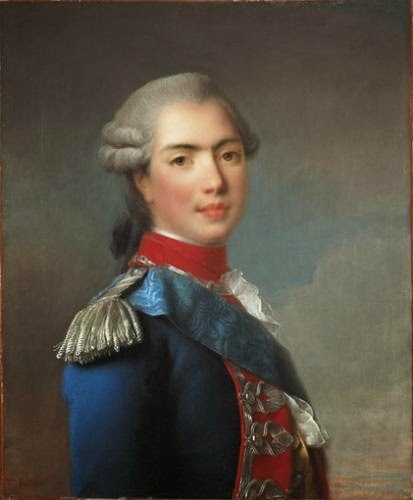 As their younger brother fled, Louis Stanislas stayed by Louis XVI’s side at Versailles until the flight to Varennes. The Count of Provence and his wife left at the same time as the King and his family, but were luckier. They managed to arrived safely at their destination in Belgium. As his brother was held prisoner of the Revolutionaries, the Count proclaimed himself Regent. He also asked the various European monarch for help, money, and soldiers. When Louis XVI died too, the Count of Provence was proclaimed king Louis XVIII of France by royalists. 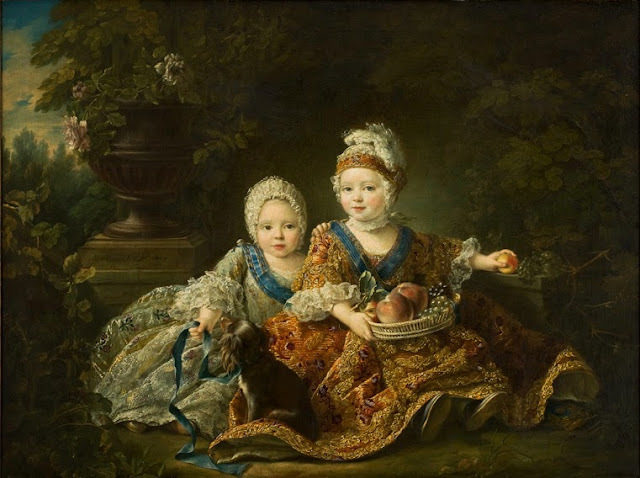 He moved to Verona, in the then Republic of Venice, and managed to have his niece Marie Therese, the only surviving child of Louis XVI and Marie Antoinette, freed from her prison. He wanted her to marry her first cousin, Louis-Antoine, Duke of Angoulême, the son of the Count of Artois. To convince her, he told her that was what her parents had wanted. Marie Therese agreed. When, in 1796, Napoleon invaded the Republic of Venice, Louis XVIII was forced to flee once again. He wrote again to Napoleon, asking him to restore him as rightful king but to no avail. 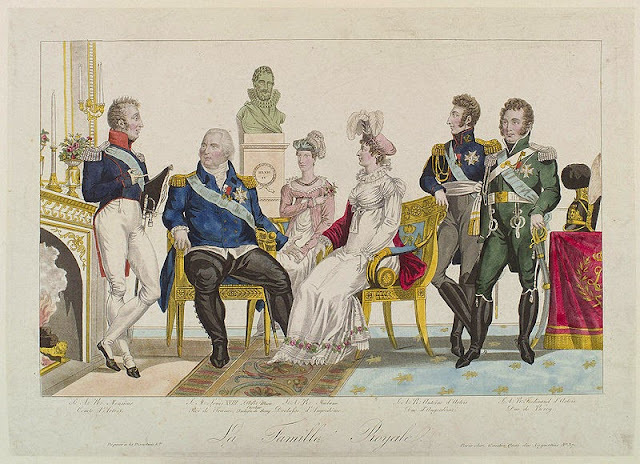 Napoleon wanted him to renounce his right to the throne but that didn’t happen either. “I may have lost my country, I may have lost my possessions, but I still have my honor, and with it I will die,” Louis said. 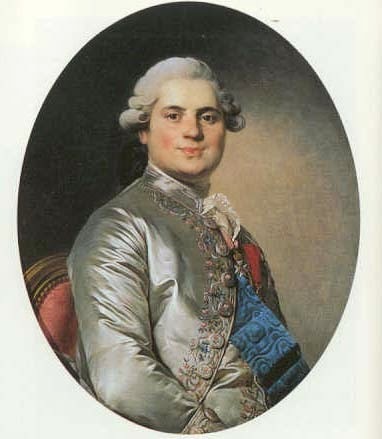 Instead, Louis XVIII and his family travelled from one European country to another. As they fell under the control of Napoleon, they were kicked out and forced to look for a new home. Soon, Great Britain remained the only country still fighting against Napoleon, so Louis XVIII and his family settled there. The King also realised that, if he wanted back his throne, some things had to change. Too much had happened for the monarchy to be restored as it once was. He started hinting that, once he was back on the throne, he would retain some of the changed wrought by the Revolution. For instance, he wouldn’t return the lands confiscated by the Revolutionaries to their rightful owners, but the latter would be financially refunded for their loss. This allowed him to attract the support of those who were disillusioned with Napoleon’s regime without alienating ardent royalists. But when the moment for him finally came to rule, once Napoleon was defeated, Louis XVIII was held back in England by an attack of gout. He sent his bother, the Count of Artois, in his place to set up the new government. When he finally returned, amid the cheers of the crowd, he did so as a Constitutional monarch. He issued the Charter of 1814, which included many progressive reforms: freedom of religion, a legislature composed of the Chamber of Deputies and the Chamber of Peers, and a somewhat free press. It was the best compromise between the old and new order that could have been reached. Sill, of course, many weren’t pleased. For the royalists, too much had been conceded. For the republicans, too little. 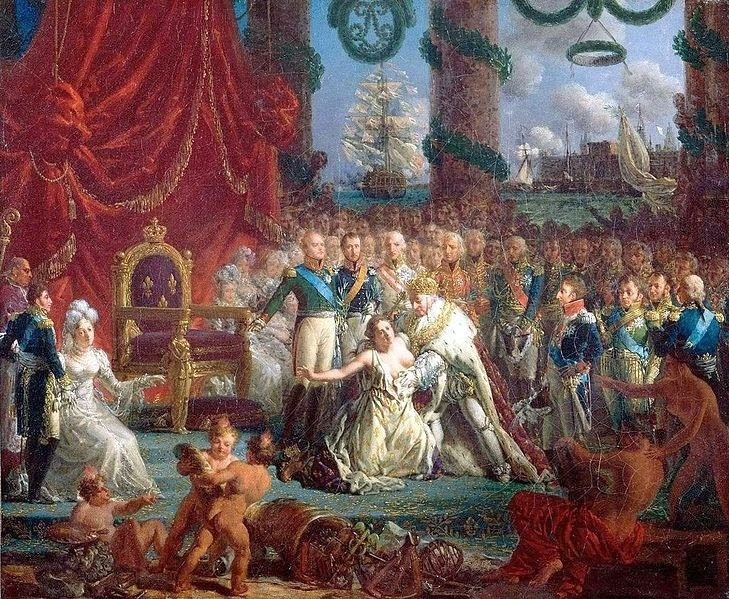 Louis XVIII had barely had time to sit on his throne when Napoleon escaped from Elba, where he had been exiled. He was forced to flee France once again. This time, Napoleon was swiftly defeated, and Louis VIII was able to take back his throne. In 1824, his health began to fail. Very obese, he suffered from gout and gangrene. 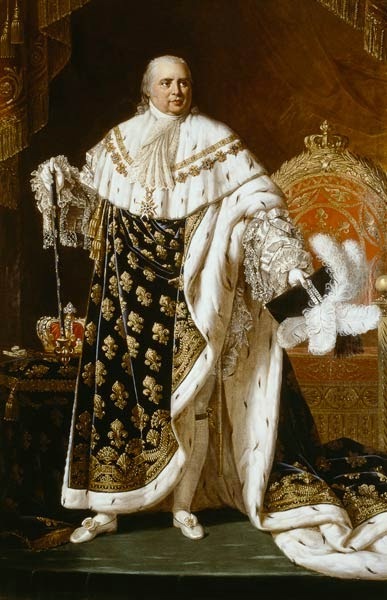 He died on 16 September 1824, passing the crown to his younger brother, Charles X. He was the last French monarch to die while still ruling.